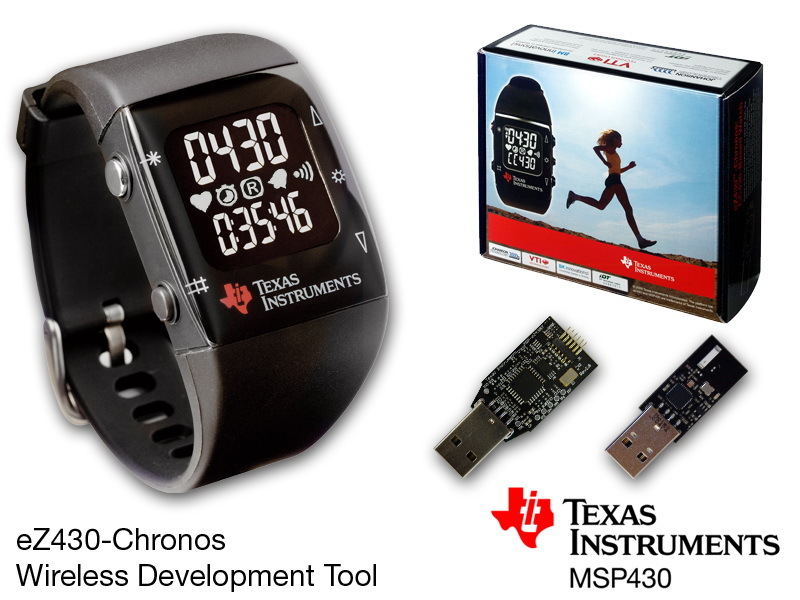 Based on the CC430F6137 < 1 GHz RF SoC, the eZ430-Chronos is a complete CC430-based development system contained in a watch. This tool features a 96 segment LCD display and provides an integrated pressure sensor and 3-axis accelerometer for motion sensitive control. The integrated wireless feature allows the Chronos to act as a central hub for nearby wireless sensors such as pedometers and heart rate monitors. The eZ430-Chronos offers temperature and battery voltage measurement and is complete with a USB-based CC1111 wireless interface to a PC. The eZ430-Chronos watch may be disassembled to be reprogrammed with a custom application and includes an eZ430 USB programming interface.